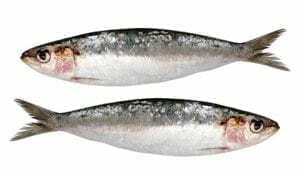 Demand for fish low in mercury has been on the rise and sardines are one of the best options for health conscious diners. They are dense with omega-3 fatty acids, carrying nearly 2,000 mg / 3 oz serving. This is more that salmon, tuna, or just about any other fish. Not only do sardines offer excellent health benefits for your clients, but their uniquely distinct flavor lends to an immense amount of culinary potential. Whether fresh, frozen or canned, sardines will add a great deal of savory versatility and excitement to your menu. They make a beautiful little fillet when grilled in olive oil and served with lemon zest, or marinated and baked or dipped in batter and fried. They will make an outstanding healthy meal when nestled atop a bed of fresh vegetables. Your customers will enjoy sardines served partially whole with the option of consuming the soft bones for an extra dose of calcium. The fishery for sardines on the West Coast originated during World War I to provide a nutritious food for soldiers that could be easily carried into battlefields. The fishery expanded to become the largest fishery in the Western Hemisphere, supporting 200 fishing vessels, until a complete collapse in the 1950s. Fishing pressure was not the only factor involved – sardine populations are sensitive to naturally occurring ocean and weather conditions and can fluctuate tremendously from year to year. Today, the sardine fishery is thriving and well managed, pushing this little forage fish up to the top of the sustainability list..
Pucci Foods values the health and happiness of our clients and your customers. We promise that our seafood will make a high quality, healthy addition to any diet. We have made it our duty to help protect the ocean environment by supporting sustainable industries like the sardine fisheries. Add nutrient packed, sustainable sardines to your menu today by filling out the form on this page. We’ll be in touch right away!